What if there was an easy to follow, proven process for massive success on Twitter? What if you could grow an audience and get awesome traffic to your content just like one of the major social media influencers? We here at The Social Ms are huge fans of Twitter. Twitter is key to our social media marketing success. Even today, over half of our traffic to TheSocialMs comes from Twitter. What is the key to our Twitter marketing success? 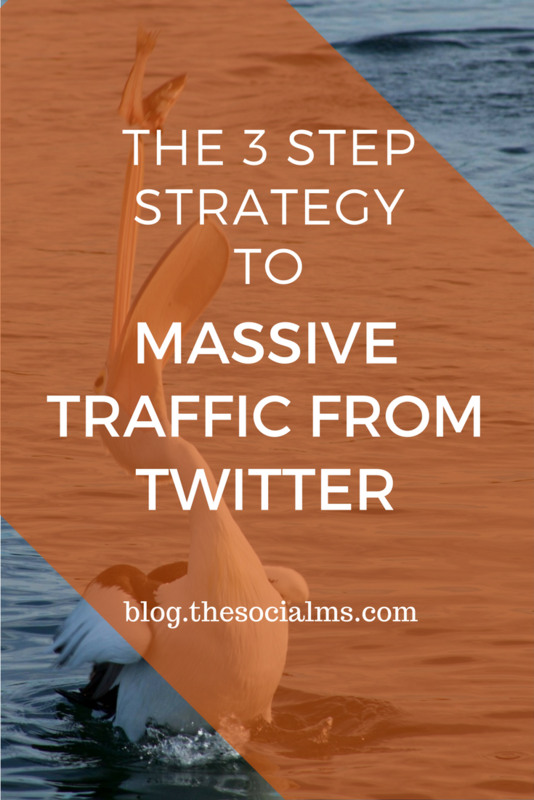 These three steps could be the key to your Twitter marketing success as well. And they work for any niche. If you are getting it right, your blog provides value to your target audience in each of your blog posts. That makes your blog posts the perfect content to share on your Twitter account. Your target audience will love to follow you on Twitter, because of the value you provide. And honestly, most of you are probably not tweeting enough of your own valuable content! Spice your own content up with selected curated content – you can even use the curated content to get your account in front of a larger audience, make it spread and get more followers to your account. Conversations are also a great way to provide value. Choose the right conversations with care and be helpful with your answers. People will appreciate your effort! You can tweet for ages and never assemble more than a handful of followers on your Twitter account. But there are several ways to push growth. The key to growing an audience on Twitter is to actively get your Twitter account in front of people from your target audience. If you provide enough value in your tweets, some of these people will gladly follow you to get your valuable information. There is a lot you can do to get more followers. Some of this happens on Twitter, like earning more (re-)tweets, likes and comments, which will make your content spread. Some of this happens outside of Twitter, like mentioning your Twitter account in your author bio for guest posts. But a lot of this takes place on your Twitter account. You just have to optimize your Twitter activity for growth. Even if you have the perfect content to tweet and are growing an audience for your Twitter account, you may still be frustrated by the results you see. Because there is more to successful Twitter activity than just shouting out 140 character messages. You need the perfect tweet text – best practices and headlines types that often do well can help. But you need to learn what resonates with your audience. The perfect tweet also includes an image, 1-2 hashtags and maybe even a call-to-action. Scheduling your tweets to reach more people from your audience is a must. And learning to mention the right accounts at the right time in your tweets will help you move your Twitter experience to the next level. Does this strategy work and generate targeted traffic? We were not born as marketers. In fact, when we started our first business, we were badly lacking the marketing expertise we needed. But we had to learn marketing and we had to see results very fast. At that time, we did not know it, but Twitter was going to be the game-changer for us. Long before we started The Social Ms, Twitter was key to marketing our startup exploreB2B and growing it to over 500k page views per month. After struggling with getting traffic, signups and new articles to the platform for ages, we finally found a strategy that helped us grow fast. And this strategy was based on Twitter. We learned how some of the most famous social media experts grew their Twitter accounts. But we did not stop at growing an audience on Twitter. Our Twitter followers also liked our content and just one year after starting our successful Twitter marketing strategy we saw 500k visits to our website. And this also gave us signups and new customers. But does this strategy work for another business? A totally new blog? When we had to give up exploreB2B we took that Twitter marketing knowledge with us. We had to start a new venture: We started this blog – The Social Ms.
We used the same strategy to grow The Social Ms that we had used before: Twitter. What do you think how it worked out? We got traffic, we got subscribers, and we made some money. Most of our traffic came from Twitter. We took a totally new blog from 0 to 50k page views in just 6 months. And this success was all based on straightforward processes that you can use to grow your traffic, too. With no advertising or other paid methods. You simply have to follow our step-by-step action plans. Sure – if you have blog content and our step-by-step process, you are all set for massive Twitter success! Twitter is easy, even if it sounds complicated. 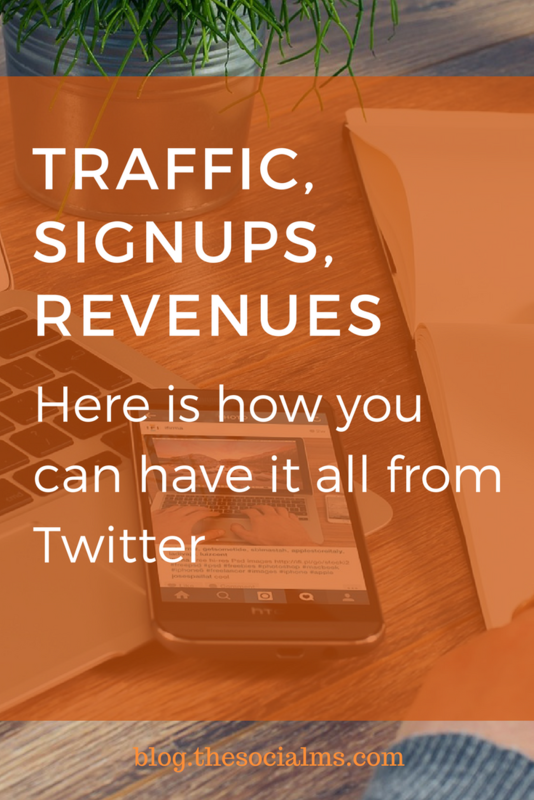 Once you get a step-by-step explanation of how everything works and how you can get Twitter to work for you and your blog as a traffic generation machine you can grow your Twitter traffic just like the social media gurus do. Twitter works for any niche. To build traffic from Twitter you can follow the same processes that social media influencers like Jeff Bullas have used. And you will see results fast. 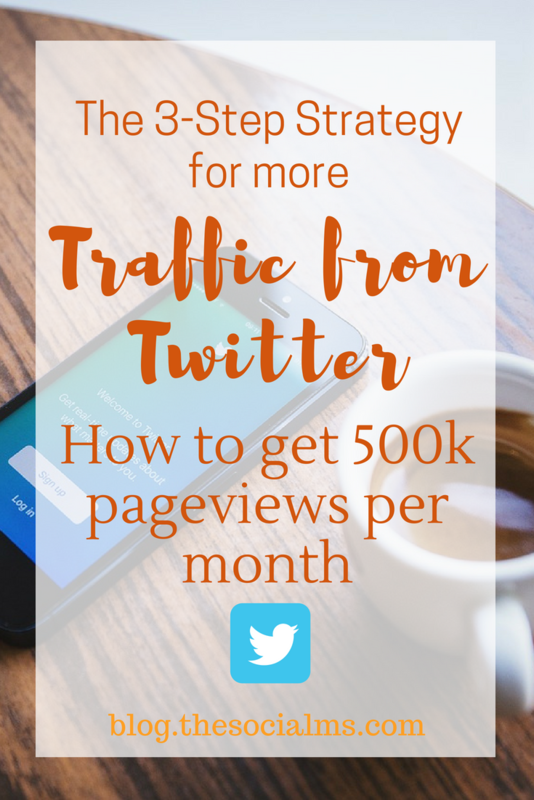 We just needed six months to grow our blog to 50k page views. This is what will happen: Your followers will grow, you will get more engagement on your tweets, you will get traffic to your blog. 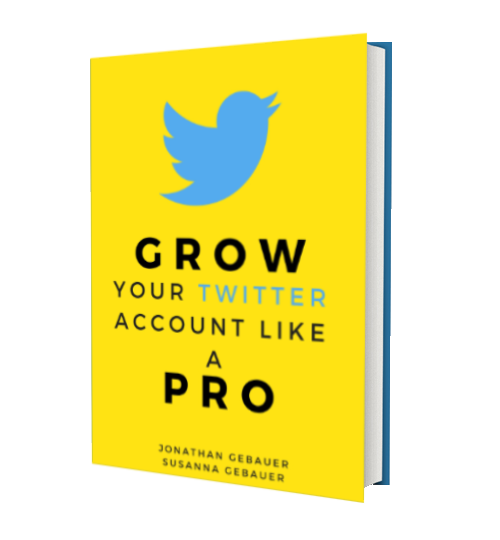 We have written it all down in our ebook „Grow Your Twitter Account Like A Pro.“ And we don’t want to rip you off. You could invite us for a coffee and we would tell you a lot about our Twitter experience – as much as we could fit into a meeting over coffee. Or you can get our ebook for the same money. And have the information at your back and call whenever you want to revisit it, check something or learn something more. Take a break and move on with your learning whenever you want to. That does not sound incredible? Maybe not. But it is what you need to get massive traffic from Twitter. And we give you step-by-step action plans to take you from “Meeeeh” to “Whoa” within four weeks. We don’t just give you the theory. We show you how to get it done. And that will make the difference!